Agile requirements can either make or break a project very quickly if not documented effectively. One of the reasons is that unlike the traditional development methodologies they are detailed and refined throughout the software development life cycle. In fact, agile requirements need to be as flexible as the methodology itself is. 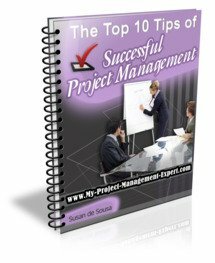 This in itself can cause problems since clear, unambiguous project management requirements are hugely important in any successful project. In fact, a lack of proper requirement specification is the main cause for project failure and unworkable IT systems worldwide. As you can imagine this is even more important if your project is following the key agile principles. There are several parties such as the project management stakeholders who have to contribute in formulating the agile requirements in an agile development. This includes the end user who will use the system, the client who will pay for it, the domain experts for providing advice and finally the software engineers and developers who commit to developing it. The role of a business analyst is also vital in this area, and it is they who steer the requirements gathering process from business requirements documentation through to the software requirements specification in an agile project. In an agile development environment, the requirements should have some of the following basic properties. It should be complete and to the point whilst covering all the user needs. It should only have those user needs which are practical and applicable. It should be sufficiently verifiable both during system design and test as well as during project closure. It should clearly state the customer needs. It should have the flexibility which enables necessary changes to be made whenever there is another iteration. The key person in this stage is the end user of the software who will share their vision with the team of developers and domain experts. The domain experts need to go through any of the documentation already produced which should certainly include the business case and often also the project initiation document or project charter. The domain experts try to understand and analyze the vision by giving their opinion on the applicability of the requirement as stated by the user. They will try to clarify any gaps in their understanding of what is required. After checking the feasibility of the requirements, they are documented for reference during the project. Clarification from the end user is required even at this stage. Minor changes in requirements can be included during the product development although this can often be one of the major causes of scope creep if not managed properly. However, any major deviation which is beyond the scope of the project is denied. At this stage, a simulation of the system is built to demonstrate to the end user what the system will look like once built. The feedback received is then included in the project management requirements. The agile requirements document is reviewed for accuracy and completeness. This is usually done by those who have already been involved as contributors. The minor changes in the requirements are also included. At this stage, the technical software requirement specification is documented. It contains crucial information for the system designers, programmers and testers. The user and the developers then sign it off and essentially it becomes the blueprint which the whole development is based upon. Agile requirements need to be kept short and to the point. They also need to cover the exact requirement which has to be delivered without ambiguity. This is easier said than done. Therefore take the time to get someone who has the requisite business analyst skills as this will definitely increase the chances of delivering a project which actually delivers what the end user wants!